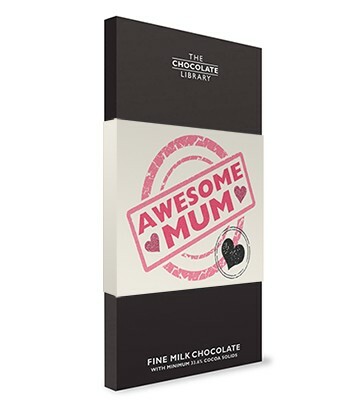 Is your mum awesome? If the answers is yes, she deserves a treat. 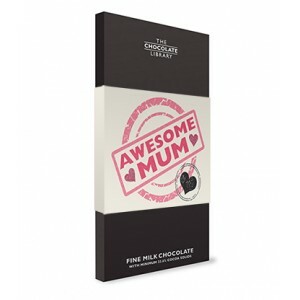 She'll love this gorgeous Awesome Mum chocolate bar this Mother's Day, baby shower treat or birthday. Product Details: Milk chocolate. Bar weight:100g; dimensions: 8.5cm x 16.5cm; chocolate manufactured in Belgium. This product contains milk and soya and may contain nut traces. Suitable for vegetarians.